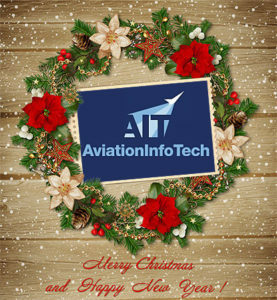 The team at Aviation Info Tech wish everyone a very Merry Christmas! 2018 was a very busy year – many thanks to all our clients. We’ve been able to continue to help more people and organisations with their aircraft operations manual requirements and by this time next year we plan to have completed the conversion of all your manuals from basic PDF to being truly iPad/EFB-friendly. To those who celebrate Christmas, we wish you a very Happy Christmas; to everyone we hope you have a very enjoyable end of year break and a successful New Year.